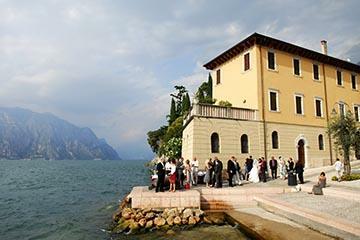 I do work as wedding photographer in Italy in the most popular locations and abroad. My commitment is to provide high quality photographic services in a very competitive market. Hi. I see that a lot of people post asking for a good photographer. 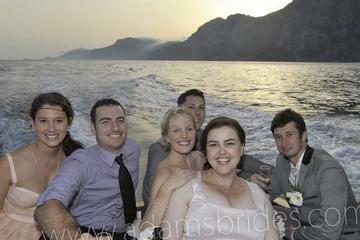 I just got married in positano and used adamo morgese. He isn't local but he travelled from near Rome to positano and didn't charge us extra ( as most told us they would). His prices were a fraction of some other quotes we received. Especially the local ones. On the day he was fantastic. So energetic, passionate and willing to do whatever it took to get a shot. He actually jumped out of the moving bride vehicle and took photos from the side and then jumped back in. Whilst it was moving. And the shots are amazing. He captured beautiful moments in photographs naturally without posing. Some of the shots are so peefect we didn't imagine they would be that good. He also had no maximum amount of photos like a lot of others did. And he gave us CDs with all the photos for our own use. (2400 all up). What can I say about Adamo!!! Fabulous! Belissiomo! There are no words to truly describe how fantastic he is. My husband and I got married May 10 in Tuscany! My husband found him on the internet and as soon as we looked at his pictures we knew he would be our photographer! He responds so quickly to your emails and gives you the best advice. He helped us in every way... even helped us choose the location and recommended a wonderful B&B, La Locanda deli Artisti, that was amazing for our stay in Chianciano, Italy. He drove to meet us in Chianciano the day before our wedding and took the time to drive around with us and pick out perfect spots for our pictures and for the ceremony! Hi Everyone, I just wanted to write a brief note about the legend that is Adamo Morgese!! 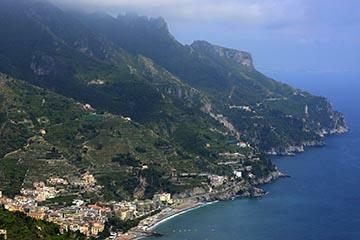 I'm based in London and about 5 years ago my friends got married in Italy(Almalfi Coast). After careful consideration they decided to go with Adamo for their wedding pictures and I must say the album and the pictures all 800 of them captured the amazing day! 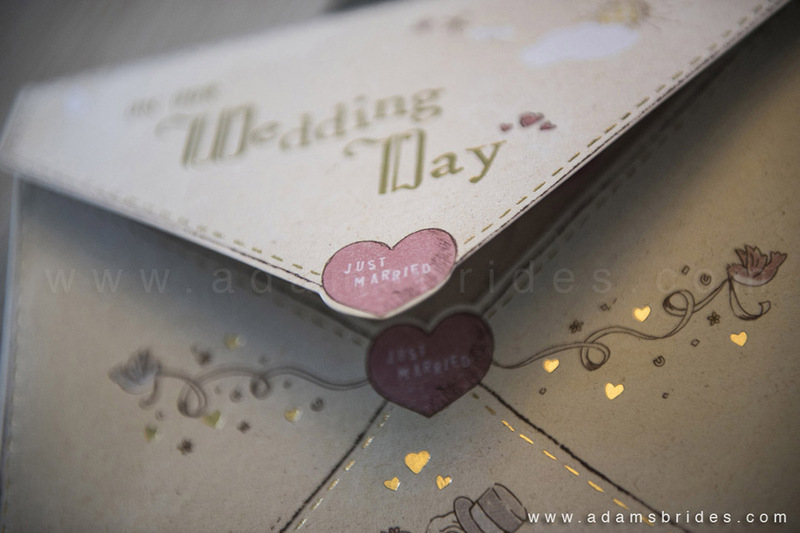 Recently the bride's twin sister got married and without a thought chose Adamo to attend her special day in the UK. One of his skills is how he just blends into the occasion and takes fantastic photos whilst mixing with the crowd and getting the best reactions from everyone. He's not trying to take over the venue or the event and just goes about his great work in the background. Recommended without questions to anyone who wants a great album! You won't even want to have a video because he tells the story so well in his pictures!! Well done and keep up the good work Adamo!! 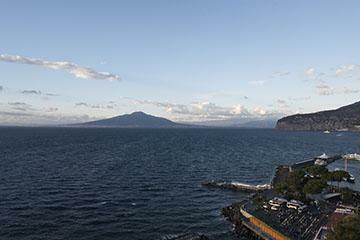 We recently got married on the Amalfi Coast in Italy with Adamo Morgese as our photographer. I had searched for a photographer who could offer us natural photos that didn't require any posed shots and who we could trust to document our entire day - Adamo without a doubt was the guy for us. Adamo managed to capture our entire day from getting ready, the ceremony, walking through cobbled streets to drink on terrace right down to the final reception venue through to the sun setting and he captured it all beautifully. 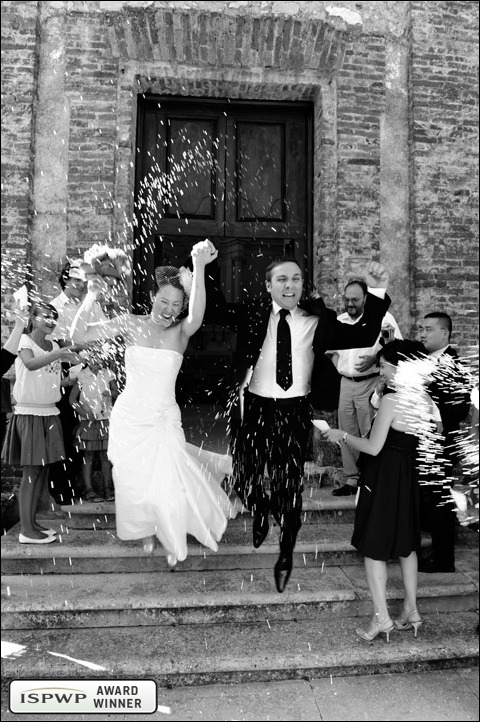 We used Adamo as the photographer for our wedding in Tuscany in late October 2012. 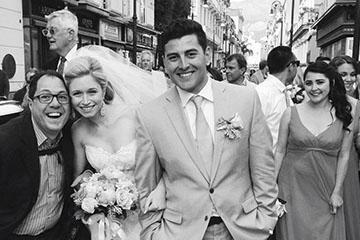 We couldn't have been happier with Adamo's presence at our wedding, he made us feel comfortable and he had a great sense of humour. We had pictures taken in the Siena Town Hall where we were married and then Adamo chose some amazing spots in the countryside on the way back to our Villa to take photos. 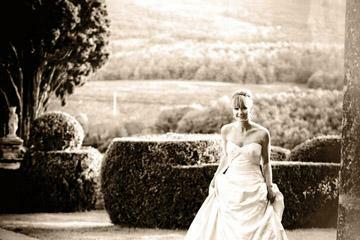 We now have some beautiful photos taken in a spectacular and truly Tuscan setting. 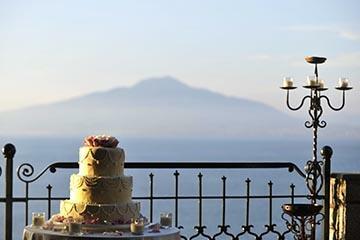 The photos back at the Villa Stomennano that we had hired for the wedding celebrations are gorgeous. Adamo's photos of my Husband and I are fantastic and we have some gorgeous family and group photos which really capture the excitement and happiness of the day. Thanks Adamo we are so happy that you were the photographer for our wedding day. 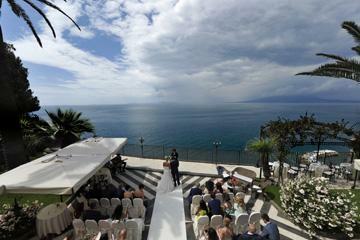 We used Adamo Morgese for our June 2013 wedding in fabulous Ravello. Our photographs and DVD are truly amazing! Adamo blended in seamlessly with our wedding and he really captured the essence of our day. Apart from being a magnificent photographer he is professional, trustworthy and a genuinely nice person. All my guests loved him!! Thank you Adamo we are so happy that we found you. We would love to see you whenever you are visiting Scotland. We have booked Adamo to be our wedding photographer in June based on all the excellent reviews for him. 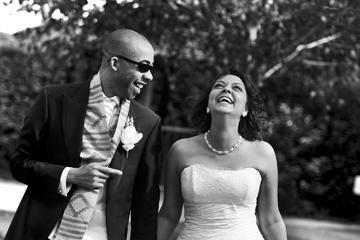 I just wondered if anyone would be willing to show some of their wedding photos - I'd really like to see some examples of his work as many people say his website does not do him justice. We just got back from Italy a few days ago, and Adamo took our proposal and engagement photos along the Amalfi Coast on May 13, 2014. He is a fabulous photographer! 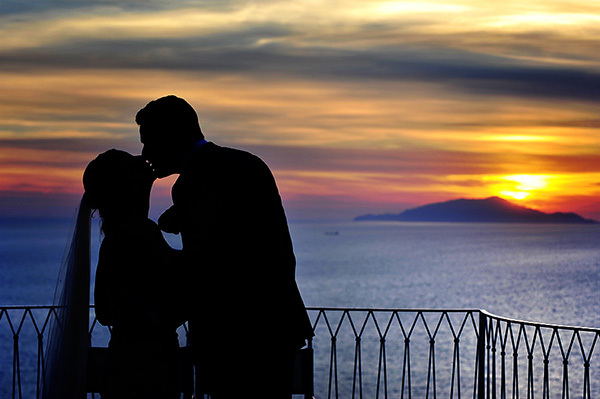 He really went above and beyond - he drove us from our hotel in Sorrento out to Positano & Ravello to take photographs, even though it took most of the day. He already had identified places to photograph us. Each location was more stunning than the last, and the photographs were incredible. He is a very talented photographer. In addition to posed shots, he also took some great humorous candids in the convertible and in a fruit market which we loved. He recommended a beautiful plaza with sculptures overlooking the coastal cliffs for my fiance to propose, and our proposal photographs are stunning. It was a truly magical and surreal day, a once-in-a-lifetime experience, and Adamo captured it perfectly in our photographs. And he sent us all the 500 photos just 4 days later! There are just no words to describe how fantastic he is. We are so glad we chose him as our photographer. We will look at these photographs for the rest of our lives, and remember our special day. Adamo was the most fantastic wedding photographer I could have ever imagined! If you want to rest assured that you've booked the best, book Adamo. 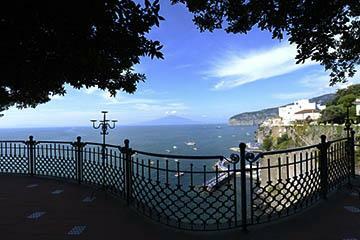 Thank you so much for being part of our wedding day in Sorrento at Cloisters Monastery. We are so glad we chose you to capture our wedding. I found you online and I fell in love with your photography style and you always responded quickly to us when we had any questions. On the day of our wedding you came to the hotel room and took the shots that I had asked for. One of my favourites is the photo of me and my dad in the wedding car before we drove to Cloisters. The day was a fairytale and your photos captured every moment of this. To all of you thinking of booking Adamo, please do. You will not be disappointed. He is a gem and a true professional, he will put you at ease too. I got married in the UK. A lovely barn within a farm. 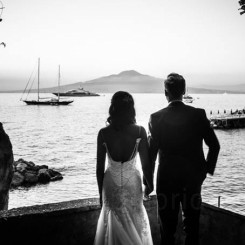 My Twin sister had previously had Adamo photograph her wedding in Amalfi so when it came to me selecting a photographer, I struggled to find anyone who could compare with the quality of Adamo's work. But I did have reservations about our albums looking very similar. So finally I succombed to 'wanting the best' and hired Adamo. Now that the wedding is over and I have my album in my hands - Im sooooo glad for that decision. Adamo's work is by far the best I have ever seen!! The quality of the album he produces is something very very special and something that I dont think can be replicated very easily. But honestly, though this is what we all want..... a beautiful photo album to help remember our special day..... the best of Adamo is Adamo himself. During the wedding preparations, he is the best type of supplier to work with.... very understanding, patient and requires little management. Anything you ask of Adamo, he is willing to help you with and you never have to ask twice!!! On the wedding day itself, Adamo breezes through the day like an unseen artist capturing moments that even you wont remember!! There is no hassle with Adamo, no infringement of your space on the day..... he just walks around and finds those perfect shots. In addition, he is the nicest person you'll eve meet. My whole family fell in love with him and his gentile nature. 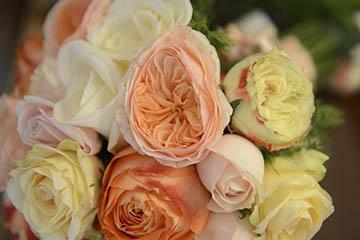 So as far as recommendations go, Adamo is top of my list when it comes to wedding suppliers!! Oh and one last thing..... I decided not to get a Photographer and Videographer for my wedding - I just went for a Photographer. Tough call but my budget was wearing thin towards the end. After receiving my album from Adamo, I was soooooo happy with that decision as Adamo's work told the story of my day - without needing a video! !